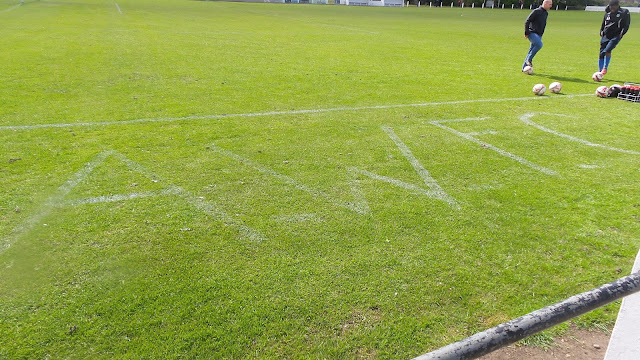 Originally, the club was formed in 1926 and competed in local Doncaster and Sheffield leagues. Due to financial difficulties, they folded in 1974. 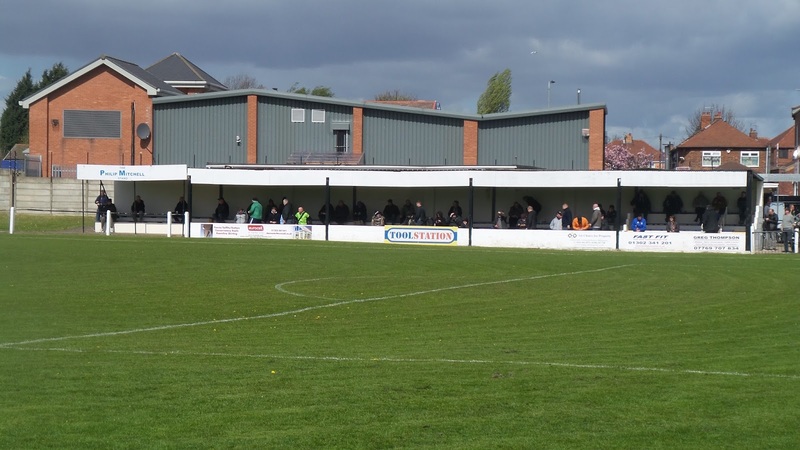 However, they were reformed a couple of years later and joined the Doncaster Senior League. In 1983 they joined the NCEL in what was its second season. 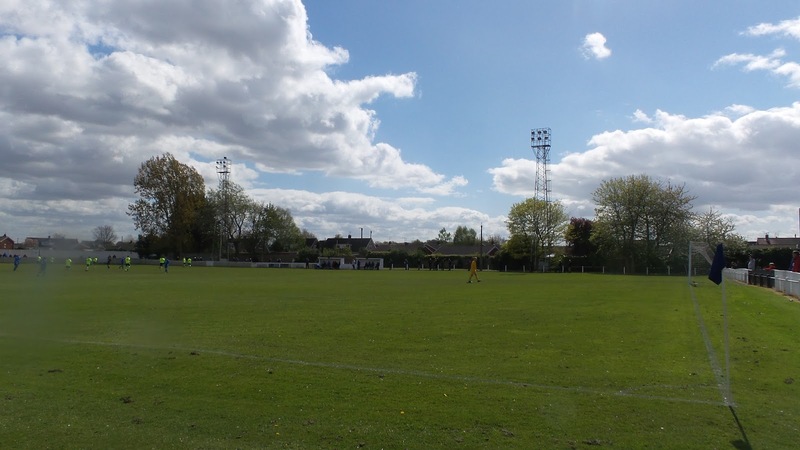 Their first season in Division 2 North was a success and they were promoted after finishing runners-up behind Harrogate Town. They were champions of Division 1 Central the following year, earning promotion to the top tier. 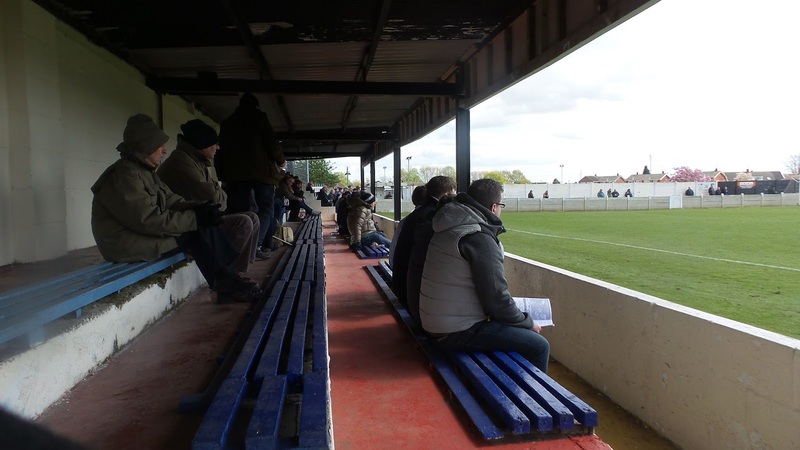 Since 1985, they've been ever present in the NCEL Premier. 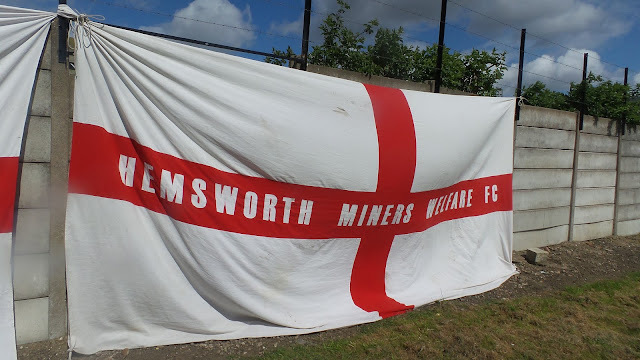 Their best finish came in 1987/88 when they finished runners-up behind champions Emley and above current Conference sides North Ferriby United and Guiseley. They've come close to relegation on a few occasions and recent seasons have been a struggle since a 3rd placed finish in 2010. This season has been especially disappointing, with the club sitting rock bottom after last weekend's games. They were relegated in the week and will now face life in the second tier for the first time in 32 years. The 1986/87 season saw Armthorpe reach the 3rd Qualifying Round of the FA Cup. 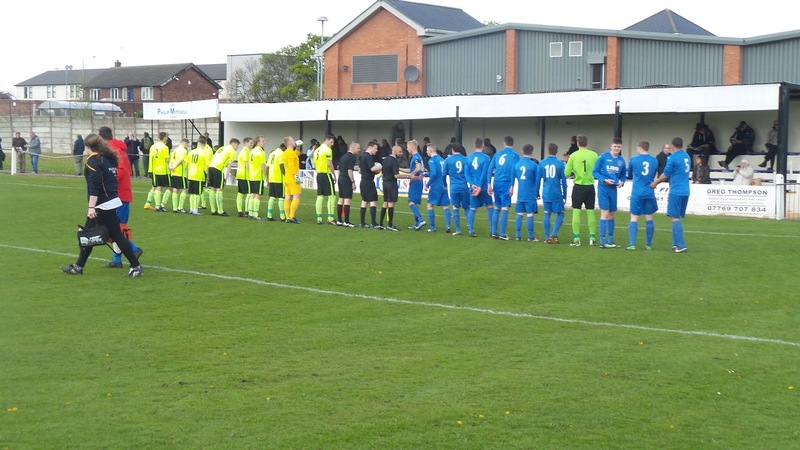 They eventually bowed out with a 2-0 defeat to Chorley. Their opponents would go on to beat Wolves and take Preston North End, as well as earning promotion to the Conference a couple of years later. 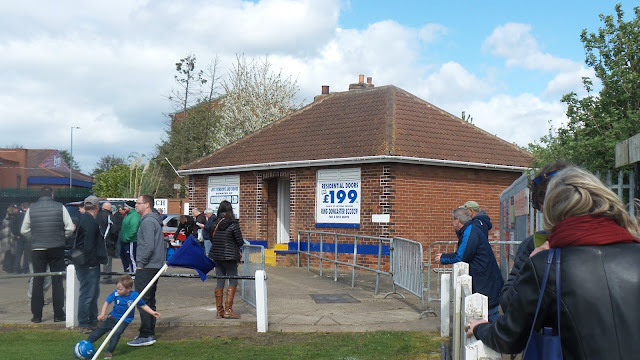 In the FA Vase, the club reached the 4th Round in 2010, going out on penalties to Wroxham after a couple of 1-1 draws. In local cups, the West Riding Senior Cup was won in 1982 and 1983 as well as the Goole & Thorne FA Challenge Cup in 1983. The record attendance of 2000 came in a 1985 friendly against Doncaster Rovers. The most famous player to turn out for the club is Leo Fortune-West - the former Gillingham, Rotherham, Cardiff & Doncaster striker enjoyed a 3-year spell at the club between 2010 and 2013. 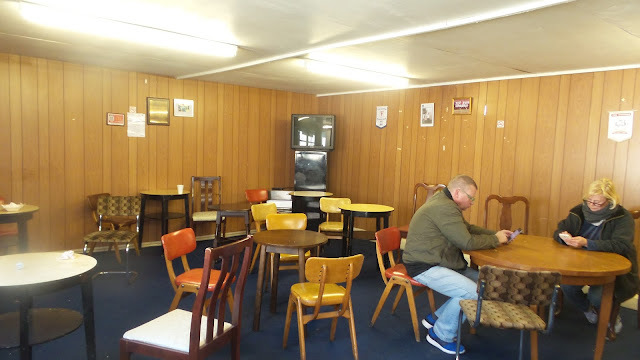 This was to be my first blogged match of the NCEL Hop, as I was busy on the Friday with the Wycombe Wanderers v Mansfield Town game and I had already visited Rossington Main, who were the first game on Saturday. 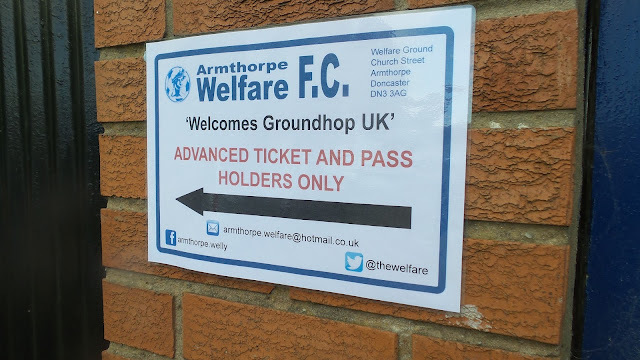 The whole weekend was organised by Groundhop UK, who were responsible for me falling in love with the NCEL a few years back. 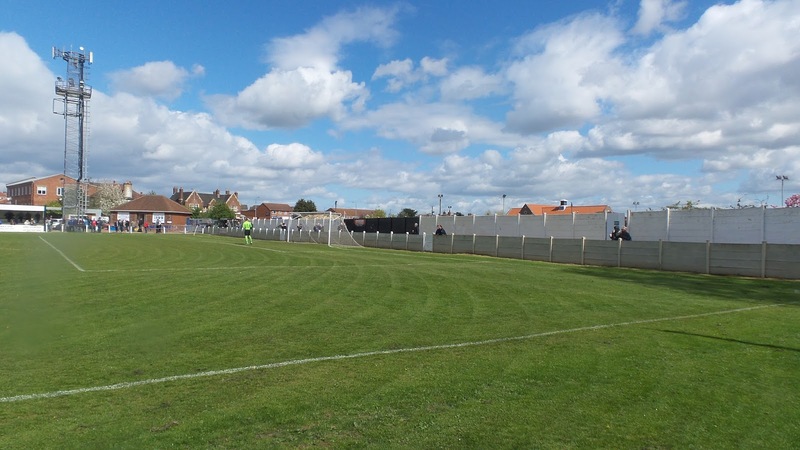 I'd wanted to go to the big game between Bridlington Town and Scarborough Athletic, but it was too far to justify big costs. 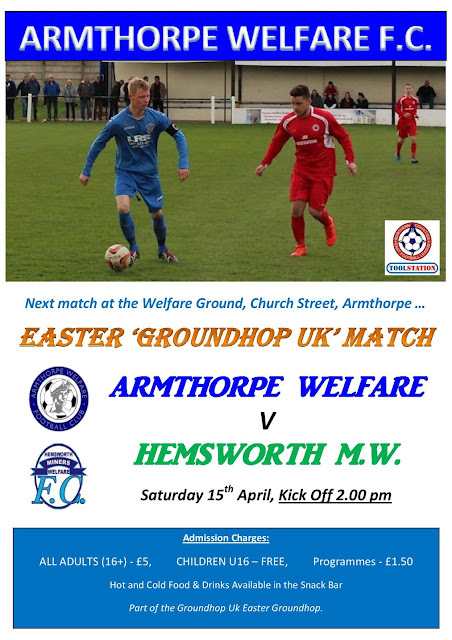 Luckily, Groundhop UK had made it the first game in a three-game series, with a whole weekend of football. 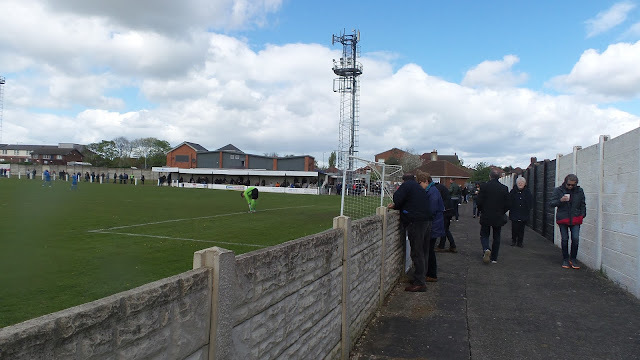 Before then, I wasn't really into step 5, but after seeing some good football and a truly wonderful ground at Pickering, I was hooked. The best thing was, that a coach was organized for this and every hop, so non-car drivers are catered for. They also organize accommodation and although I don't always take these options up when I do, they have proven excellent value for money. 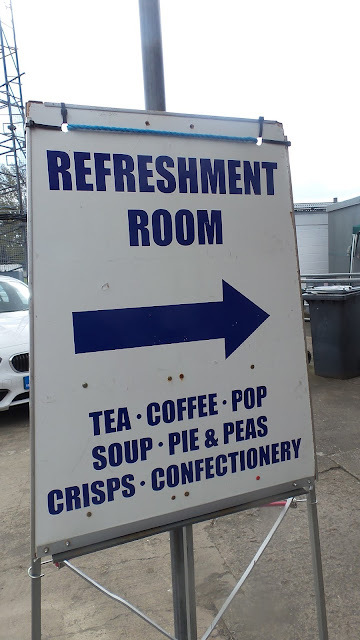 The coach only tends to be good value on long journeys due to the initial hire charge and their accommodation choice is restricted by that they need a big place to take a large group, so I'll more often than not organize things myself. One good thing is the pre-booked ticket option, which guarantees a programme and as they are presented at your first game in a pack, you can keep them in good nick and read them in advance of the game. It had not been the best of weeks leading up to the game. It had been an expensive one, capped off by the fact that a kamikaze fox had decided to run out in front of my car on the way home from Coventry on Wednesday night. 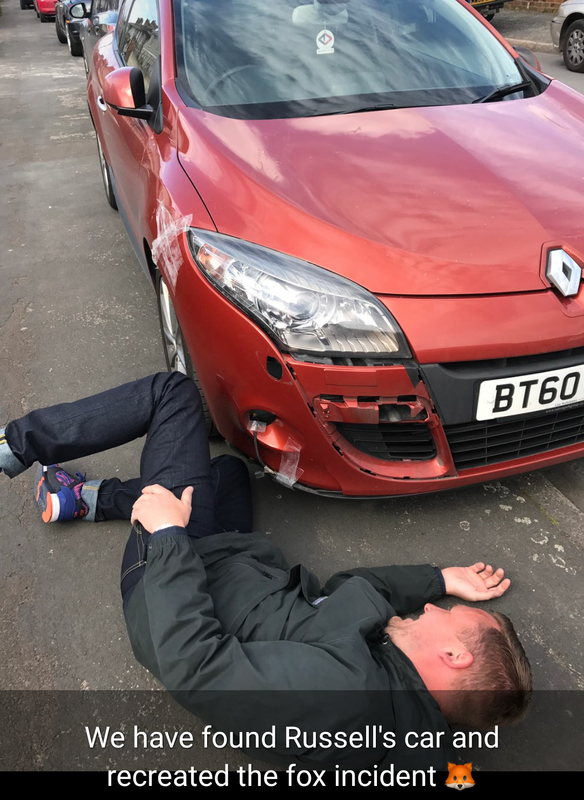 My flimsy French bodywork was no match, even at 15 mph impact and it crumbled causing plenty of internal damage. To end the week, Wycombe had put in another mediocre performance against Mansfield and lost 1-0 in an awful game of football. I'd had a fairly early night, going to sleep at 10, but even so, had a restless night before my alarm went off at 7. I'd have liked a Subway breakfast, but they didn't open until 8, so I had to make do with some grapes and some cranberry juice before leaving at 7.30. I was surprised when I put the ground into my car sat nav and it gave me a time that was half an hour later than I expected. I checked on my phone and google maps gave the more favorable time, so I used that. It turned out that my maps were out of date, with what turned out to be the Great Yorkshire Road being built since the maps were made. I listened to The Two Mikes podcast on the way up and they were talking about how pathetically slow road building is in this country. It was a salient point as I endured the long-running 20 miles of roadworks on the M1 for the umpteenth time. I got to Rossington at 10.15, setting my Sat Nav for the next destination. I'd been planning to go to the Doncaster Brewery Tap in between grounds. It was a brilliant place that I had visited back in October and I knew they would have some ciders that I wanted to try. However, upon checking my boot, my takeout containers had disappeared. The only thing I can think of is that they were thrown out when I had my car valeted, with the cleaners probably assuming that what looked like empty milk cartons were rubbish. I went in the ground at 10.30 and chatted to some fellow hoppers. There was plenty of mickey taking about my car hitting a fox, but it was nice to catch up with lots of people. It was a chilly old day for Easter and so I had my coat and wooly hat on. I was peckish, so I bought a sausage roll for £1.50 which was very nice. I also got 4 old programmes for 50p each and they were very good ones including the farewell game at Coventry's Highfield Road and the first game at Doncaster's Keepmoat Stadium. I was glad to visit such a nice and hospitable club, but I couldn't bring them luck. Visitors Hall Road Rangers won the game via a Chris Spinks penalty on 37 minutes to keep their promotion ambitions alive. I left just before 1, but once again my out of date maps struck as I was charging my phone. I ended up going towards Doncaster and having to come back on myself up the M18. I still got to the ground at 1.15 though, parking in a nearby side street. I popped to an off-licence called 'Rhythm & Booze' to get a couple of cans for later as well as looking around some other shops to kill time before kickoff. 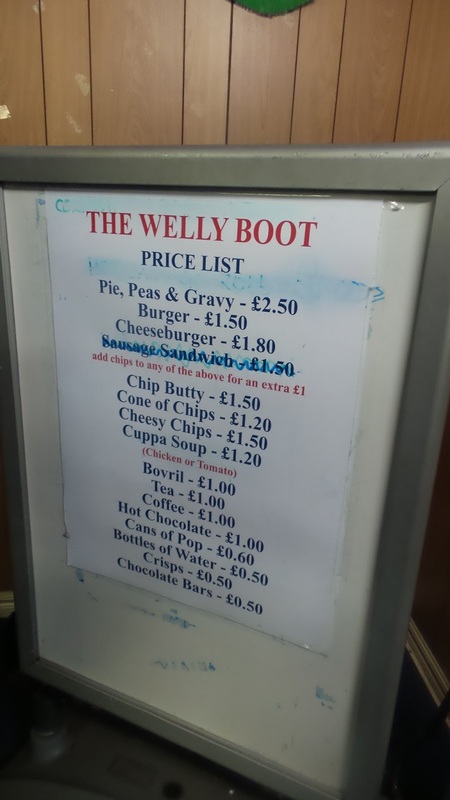 I went in the ground around 1.40, getting myself a burger and chips which were nice, especially for the asking price of £2.50. With hosts Armthorpe already relegated, it was always going to be a tough ask for them to get anything out of the game, but it was even more one-sided than I thought. Nash Connolly opened the scoring after just 4 minutes, and it was all one-way traffic for the rest of the half. It was 2-0 on 31 minutes, Billy Law flicking home a cross from the right from close range. Collier would go on to have quite an afternoon and he got his second a couple of minutes later when he scored straight from a corner which curled in past hapless keeper Liam Copley. Though the hosts improved at the start of the second half, Collier got his hat-trick on 63 minutes when he fired home from 12 yards following a low cross. 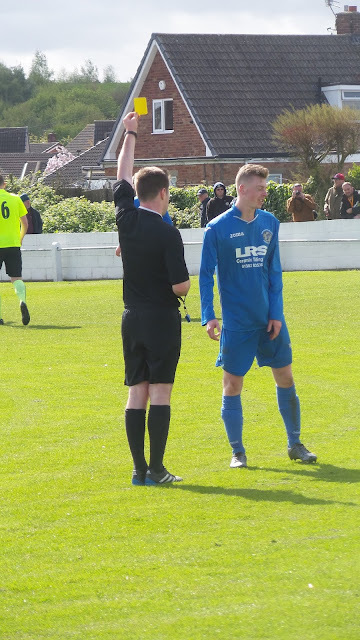 Armthorpe's Jordan Buckham was booked for fouling an opponent and then shoving him when the fouled player patted him on the back. Collier's hat-trick goal was his best - a curling shot into the top corner from a fair way out. 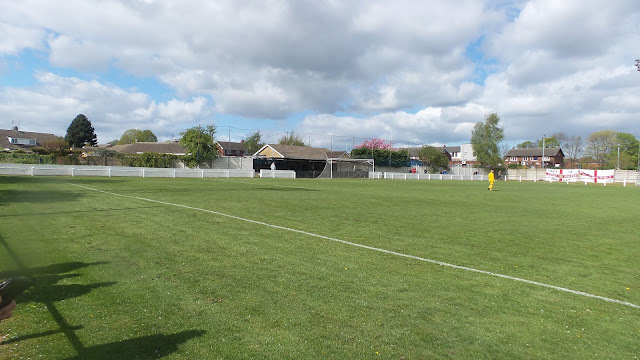 Eventually, the hosts did get something to cheer about when Ruben Pearse bundled the ball home following a good run with a couple of minutes to go. Hemsworth Miners Welfare and Collier completed the rout in the final minute when he shot home following a jinking run. 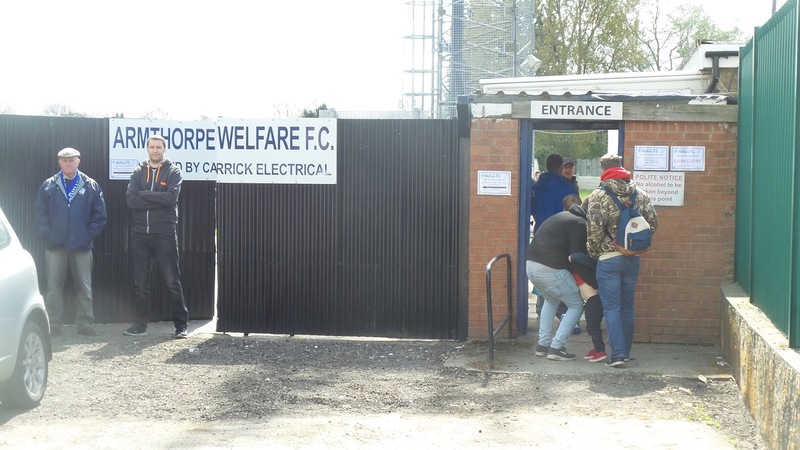 It was as comprehensive a victory as you could expect to see, and you get the feeling that Armthorpe Welfare will be breathing a sigh of relief when the season is over. 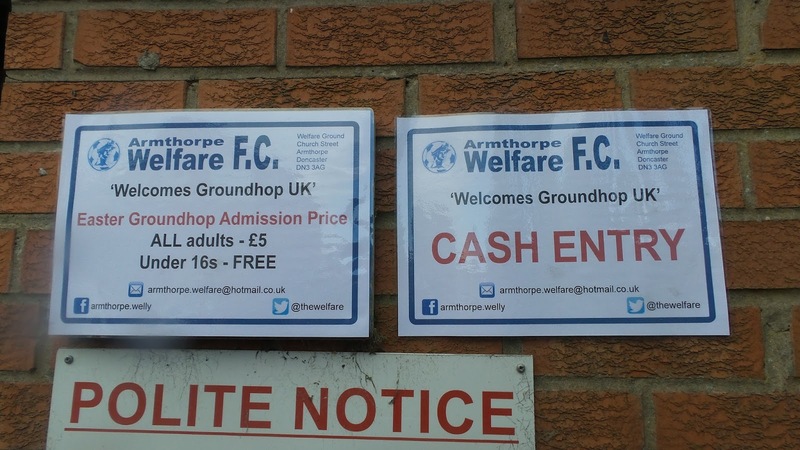 THE WELFARE GROUND is your typical older step 5 venue. There are two covered areas. One is a combined standing & seating area called The Phillip Mitchell who must have served the club in the past. Though he may never have hit the heights of local hero Kevin Keegan, who was born in the town, he obviously did enough to have a stand (and an Eastenders character) named after him. 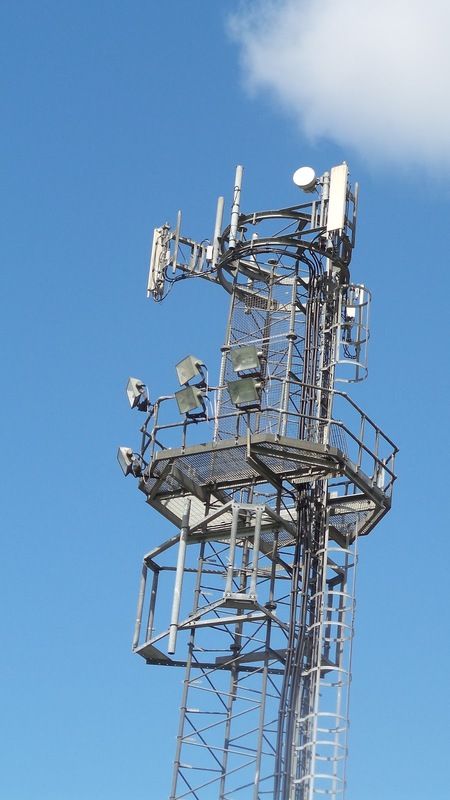 This has a decent capacity of around 300, 200 seated and 100 standing. 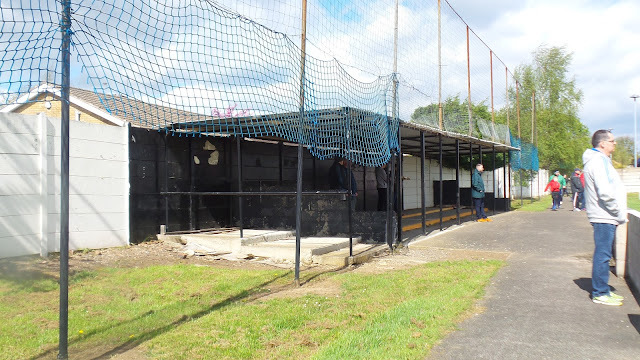 There's further cover behind the goal in the form of a covered terrace that holds around 150 whilst the rest of the ground is open. There's a decent food bar at the ground and this offers decent food that beats anything that was offered outside the ground from what I saw. There was no bar inside the ground although there are a couple of pubs within the vicinity as well as various takeaways. The Rhythm and Booze off license will probably have something of interest and is an economical option if you fancy some drinks with the game.